Luck is in your own hands. How can anyone go wrong, when charmed with all the aces of the four suits? 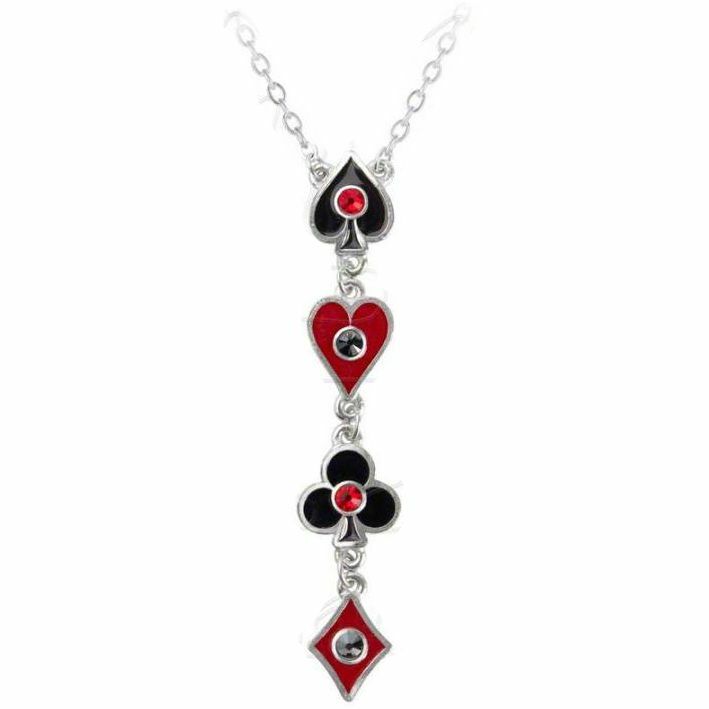 A necklace of four linked pewter castings, each enamelled and set with a Swarovski crystal.